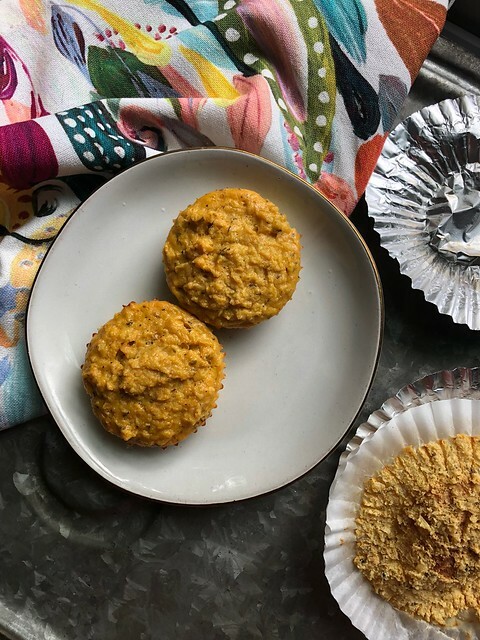 Looking to change up your breakfast routine from “all eggs, all the time?” These Cheesy Cauliflower Muffins are just the ticket. I’m not gonna lie. I was very much on the fence about making this recipe for Cheesy Cauliflower Muffins. With a cup of nutritional yeast, they didn’t smell so appetizing while I was mixing up the batter. Although I’ve used nutritional yeast before, it’s usually a sprinkling of it here and there. Not a cup. But I’m glad I stuck with it, because these are soooo good. So good that I found myself even picking at them even when they were cold. 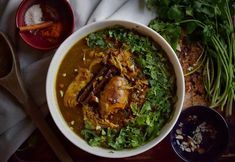 The recipe comes from the new cookbook, The Plant Paradox. I had read an interview with Kelly Clarkson, and she was talking about how she recently lost 35 pounds, and she credited it to this lifestyle and cookbook. 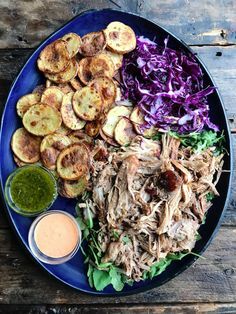 Although it’s not a Whole30 cookbook per se, many of the recipes are Whole30-compliant, or can be easily adapted as such, so it fits in nicely if you’re doing a round of Whole30 and are craving a bit more variety or sources to pull recipes from. A friend and I cook for each other and swap food weekly, so after one weekend afternoon of cooking, we’re set for the week, which is pretty rad. I made breakfast and dinner last week, and she took lunch and side dishes. These Cheesy Cauliflower Muffins were my breakfast contribution, and we ate them along with a fruit salad that she made. The recipe comes together very quickly and is little more than mixing a few simple ingredients together and baking. Easy peasy. I doubled the recipe to give us two each per day for breakfast. You could totally bulk these up even more by adding in some chopped spinach, chicken, ham, or whatever else you’re hankering for. 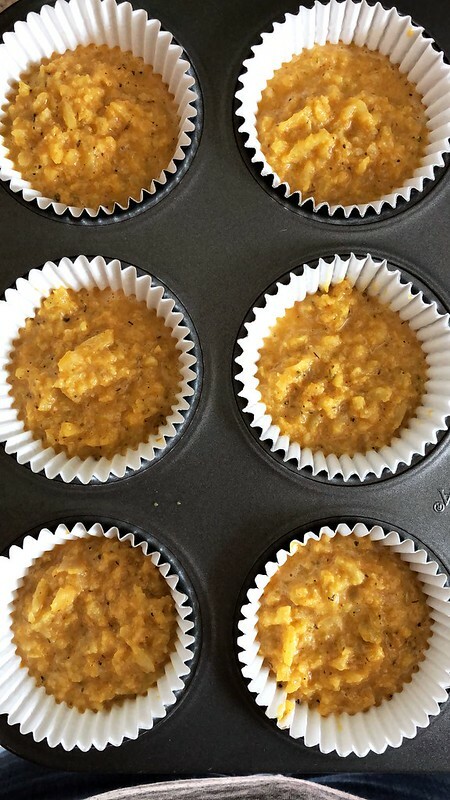 The only thing I would do differently is to cook them directly in a muffin pan sprayed with non-stick spray, instead of using liners, because the muffin stuck to the liners when peeling them … and who wants to lose some of their breakfast that way?! Preheat the oven to 375. Prepare a muffin tin with cupcake liners and set aside. Heat the olive oil in a pan over medium-high heat. Add the cauliflower rice and sea salt and cook, stirring frequently, until cauliflower is tender, about 3-5 minutes. Bake for 20-25 minutes until no longer wet to the touch. Let cool at least 5 minutes before serving. I usually only have coconut oil with tea in the morning as to stay in a near fasted state. But I’d like to try this recipe. Its low in carb and keeps me in ketosis. Leo Tat recently posted..Vince Gironda’s Steak and Eggs Diet: Lose Weight & Gain Muscle?